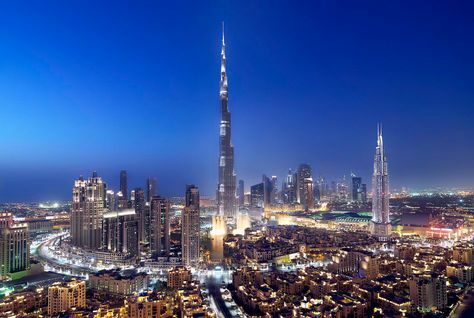 The UAE economic growth is expected to accelerate next year by more than four per cent a year until 2020 on high oil prices and Expo2020 related projects, a new report revealed on Saturday. Project activity in the country is forecast to recover in 2017 after a difficult 2016 on the back of a strong recovery in economic growth, according to a new report from Middle East business intelligence service MEED. MEED’s annual UAE Outlook Report for 2016 says that a recovery in oil prices combined with growing public and private sector activity boosted by Dubai’s preparations for the Expo 2020 will see real GDP growth rise to between four-five per cent a year from 2017-2020, compared with about 3.1 per cent growth in 2016. While acknowledging that many uncertainties remain that could derail an anticipated recovery in oil prices, the report says that a recovery in oil prices coupled with a modest increase in the UAE oil production in 2017 will be supported by a recovery in non-oil activity connected with intensifying investment ahead of Expo 2020, and growing trade with Iran following the lifting of nuclear-related international sanctions. The recovery is expected to support an increase in major project spending in the emirates after a year of flat growth in 2016 stunted by cutbacks in government spending and a review of oil and gas and infrastructure projects in Abu Dhabi. The report says that about $155 billion worth of major projects were under execution in the UAE at the mid-point of 2016 and it identifies a project pipeline of about $629 billion worth of major projects that are planned in the UAE but not under way as of mid-2016. About $22.6 billion worth of project contracts have been awarded in the UAE in the first half of 2016, largely driven by real estate, transport and power projects in Dubai, which account for about $16 billion worth of awards. MEED forecasts that about $37 billion of awards will be made in the UAE in 2016, a similar level to 2015. From 2006-2015, the UAE awarded an estimated total of $507 billion worth of projects, representing about 35 per cent of the total value of contract awards in the GCC in that period. The largest sectors for future projects are construction, followed by transport. In addition to Abu Dhabi’s metro and light rail plans, there is the expansion of Al-Maktoum International airport and further phases of Etihad Rail’s federal railway to execute. The UAE, one of the world’s largest exporters of oil, is solvent and creditworthy with at least $500 billion worth of public and private savings. Its economy is increasingly diversified and supports large and experienced corporations active in regional and global markets. The banking system is solvent, liquid and well-managed. MEED’s forecast for the UAE economy in 2017 is based on average price of UAE oil exports will be $37 a barrel in 2016, rising to $50 in 2017 and increasing by 10 per cent a year to 2020. It further expects that Opec will continue to pursue the market-share strategy it adopted in 2014. Thereafter, prices will be lifted by administrative measures and a tightening demand/supply balance due to consumption being stimulated by lower prices and high-cost output being removed from the market.